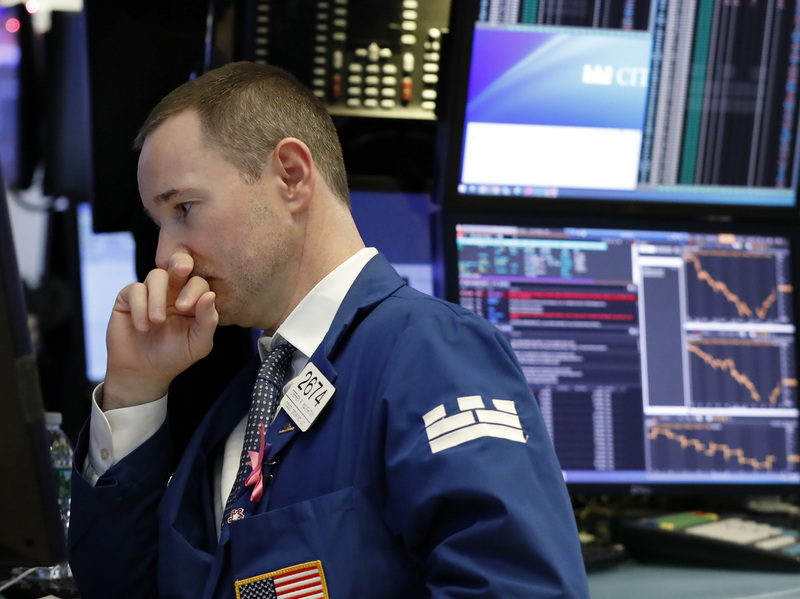 U.S. Stocks Come Back After Steep Losses During The Day The stock market made a comeback after spending much of Thursday in negative territory, a day after a record-setting rally on Wall Street. The Dow closed up nearly 260 points, more than 1 percent. Specialist Stephen Naughton works on the floor of the New York Stock Exchange on Thursday. The S&P 500 closed up a little less than 1 percent, up about 20 points. At its lowest, the index was down nearly 3 percent. The Nasdaq also closed up, about one-half of 1 percent. At its lowest, the index was also down nearly 3 percent. Year to date, the Dow is down about 6.5 percent, the S&P 500 a bit more. The Nasdaq has fared a little better, with a loss of 4.6 percent on the year. All three major indexes have closed down four out of the last six trading sessions. Markets have seen great turbulence in the past few weeks amid U.S.- China trade tensions, new signs of a softening in the global economy and a fourth interest rate hike from the Federal Reserve this year. Car and home sales have slumped while the 30-year mortgage rate hit a seven-year high in November. Once again, the market is weighing conflicting signals. On the plus side, consumers did not hold back this holiday season. U.S. retail sales were up 5.1 percent over last year, according to a Mastercard SpendingPulse report. But that didn't stop the volatility. A report released Thursday morning from the Conference Board showed consumer confidence slid to its lowest point in five months. "Expectations regarding job prospects and business conditions weakened, but still suggest that the economy will continue expanding at a solid pace in the short-term," Lynn Franco, a senior director at the board, said. "While consumers are ending 2018 on a strong note, back-to-back declines ... are reflective of an increasing concern that the pace of economic growth will begin moderating in the first half of 2019," Franco said. On Wednesday, the Dow surged 1,086 points — nearly 5 percent — allowing investors to regain some of the steep losses suffered in recent trading sessions. The broader market also did well on Wednesday, as measured by the S&P 500. It was also up nearly 5 percent. Markets managed to hold a big chunk of those gains on Thursday, as investors refocused on the many market challenges as the clock runs out on 2018. The markets have two more trading days left in the year.